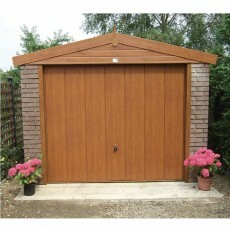 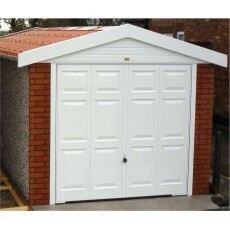 Sold as a package with many maintenance free freatures, this apex roof garage has wood effect facias, doors & window. 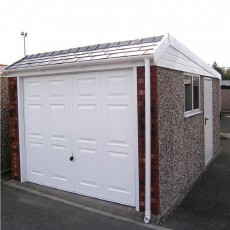 An attractive, high quality alternative to the traditional apex and Pent roofs with either granular steel or slate effect roof tiles to the front. 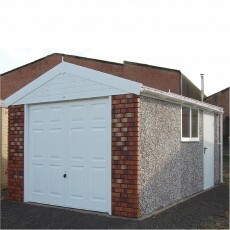 The Apex 15 features a unique 15 degree, terracotta bold roll tile effect roof, that adds another layer of quality to the Apex garage range. 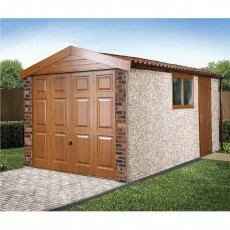 The top of the range Woodthorpe garage is supplied complete with either Golden Oak or Rosewood timber effect fascias, doors & windows. 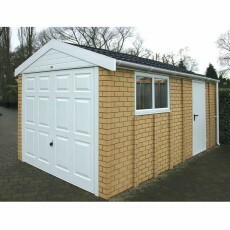 The Apex 20 is the top of the range design featuring a roof with a 20 degree pitch and clad with Metrotile Bond traditional pantile profile tiles. 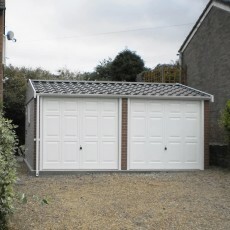 An apex roofed garage but incorporating a higher 15 degree roof pitch, covered with plastic coated steel tile effect roof sheets.